Rachael Inman’s love of dance has led to an eclectic career as artist and educator. Rachael earned an MFA in Dance from Florida State University and a BFA in Communications with a Dance Minor from the University of Alabama at Birmingham. Before moving back to Birmingham, Rachael served as a dance faculty member at Belhaven University in Jackson, Miss., teaching ballet, modern, and graduate choreography for over four years. Rachael has an extensive history with The Dance Foundation as guest teacher and performer. In 2010, she was awarded the prestigious Dance fellowship from Alabama State Council on the Arts. Throughout her career she has danced, taught, and choreographed throughout the Southeast. Inman has explored aerial dance through her choreographic work and feels her investigation and interest in “flying” reflects a common curiosity in mankind. Her curiosity in how dancers relate to space with their spirits, minds and bodies had led to more investigation of site-specific works. 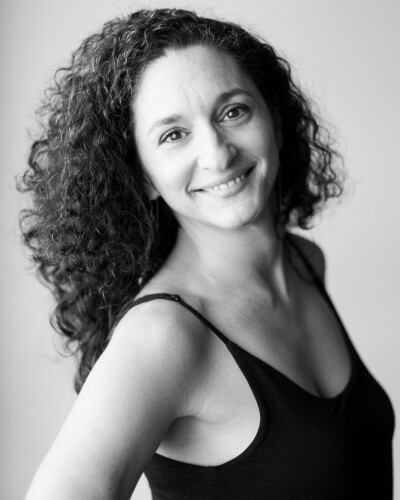 Inman co-founded Fuziόn Dance Artists (now known as Sarasota Contemporary Dance) based in Sarasota, FL., and continues to advise, teach, and choreograph for the modern dance company. This group blends traditional modern dance with various dance forms, including Middle Eastern and aerial dance, as well as Afro-modern and technologically-infused work. She is blessed to be the proud mother of three talented daughters and partner to a most supportive husband.